I love the authenticity Ken Dalton brought to the table. It takes a lot to just put it all out there and let everyone in on your hardest times. I found this novel really thought-provoking. It really makes you step back and take a look at yourself and your life and how you would have been different had these things happened to you. I found myself thinking hard about things I hadn't thought about before reading this. This is by far one of the most emotional and powerful reads I have read this year. Superb writing from Ken Dalton and a compelling story. 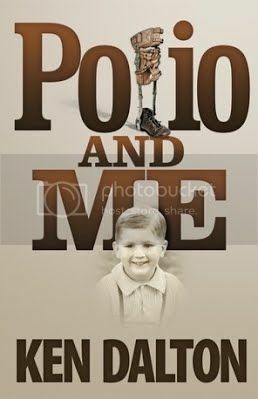 Thank you for your kind remarks concerning my book, Polio and Me. Your remark, "I found myself thinking hard about things I hadn't thought about before reading this." was particularly insightful.